Elixir is a modern, functional programming language designed for high availability and concurrency. It has Ruby-like syntax married to the power and reliability of the Erlang VM. If you wanted to get into functional programming but were put off by the academic feel, now’s the time to jump in. Fifteen years ago. That was the last time I was this excited by a programming language, and that language was Ruby. It wasn’t for lack of trying. I explored them all as they came out, but none grabbed me—none made me feel like I’d enjoy spending years digging in. Then I found Elixir. Twice. The first time was a year ago, and I thought it was very nice, but not compelling. But Corey Haines pushed me to look again. He was right. Elixir is special. 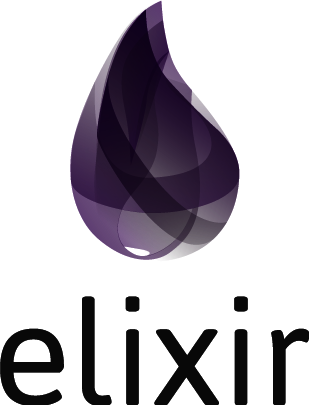 Elixir is a functional programming language that runs on the Erlang virtual machine. It has a Ruby-like syntax, and features protocols (for extending modules without changing their source), macros, and very good metaprogramming support. It has the benefit of learning from other languages’ experiences, too, so it has many modern features. For example, protocols and macros are lexically scoped, so metaprogramming no longer risks messing up the global execution environment. Elixir runs on the Erlang VM, Beam, and is fully compatible with existing Erlang code. This means you can take advantage of the high availability, high concurrency, and distributed nature of Beam. It also means you can use all the thousands of existing Erlang libraries, both built-in and third-party. In particular, Elixir can run within the OTP framework. The following code calculates the sum of the elements in a list. Our sum function lives in a module called MyList. The function is defined in two clauses. So how does Elixir know which to run? This is where pattern matching comes in. The parameter list of the first function clause is just the empty list. When you call sum, this clause will match only if you call it with an empty list. If it does match, the function returns 0. The second clause has a more complicated parameter list: [head|tail]. This is a pattern that matches a list (the square brackets tell us that). The list must have a first element (the head) and a tail (the remainder of the list). If the list we pass in has only one element, the head will be set to that element, and tail will be the empty list. Elixir is busy trying to work out how to have the left-hand side match the right. In this case, it does so by binding the list [1,2,3] to the variable a.
Elixir will complain that it can’t find a match. That’s because Elixir will only change the value bound to a variable if it is on the left-hand side of the match operator. Many library functions return two-element tuples. The first element will be the status of the result—if it is :ok, the call succeeded; if it is :error it failed. The second value will be the actual result of the call, with more information on the error. If the File.open succeeds, then stream will be set to the result. If it doesn’t, the pattern won’t match, and Elixir will raise a runtime error. (Although in this case, you’re better off opening the file with File.open! (), which will raise a more meaningful error on failure. Our MyList.sum example showed that pattern matching also applies to calling functions. The function parameters act as the left-hand side of the match, and the arguments you pass act as the right-hand side. Here’s another (hoary old) example: it calculates the value of the nth Fibonacci number. But there’s a problem with this code. What happens if we call fib(-1)? The third clause will match, and will call fib(-3), which will call fib(-5), and so on until we run out of stack. We should limit the arguments to fib to nonnegative numbers. The wonderful thing about this is how easy it is to convert a specification into runnable code. And, once that code is written, it’s easy to read it and see what it does. Something else to note: there are no conditional statements in the implementation of our function (apart from the guard clause). This also makes the code easier to read (and maintain). In fact, many fairly large Elixir modules are written with few or no conditional statements. You might be thinking that this all very well, but you don’t write mathematical functions as part of your daily job. But functional programming isn’t about mathematical functions. Functions are things that transform data. The trig function sin transforms the value 90° to the value 1.0. And that’s the hint. Programming is not about data. It’s about transforming data. Every program we write takes some input and transforms it into some output. The input could be a web request, some command line parameters, or the weather in Boise. Whatever it is, our code takes it, and transforms it multiple times on the way to producing the desired result. And that’s why I think functional programming is a natural successor to object-oriented programming. In OO programming, we’re constantly concerned about the state of our data. In functional programming, our focus is on the transformation of data. And transformation is where the value is added. Dave Thomas is a programmer who likes to evangelize cool stuff. He cowrote The Pragmatic Programmer, and was one of the creators of the Agile Manifesto. His book Programming Ruby introduced the Ruby language to the world, and Agile Web Development with Rails helped kickstart the Rails revolution.